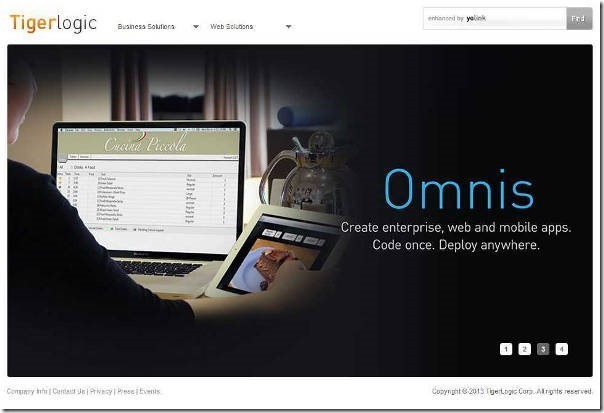 Omnis Studio 6.0 includes support for serverless or “offline” capabilities that enable a mobile device application to operate even when connection to the internet is intermittent or completely absent. In “online” mode, Omnis mobile application data and content can be synchronized with a database server once connection is re-established. In addition, the new SQL Worker Objects process time-consuming tasks in the background, allowing users to work faster and more efficiently. Enhancements to web and mobile form properties allow applications to dynamically resize and adapt to any device browser window. A new device control enables tighter integration with mobile device features such as Camera functions and GPS services, while the use of high resolution images enrich applications for high definition screens found on the latest mobile devices. Localization enhancements support multi-language applications to allow developers to reach broader markets.